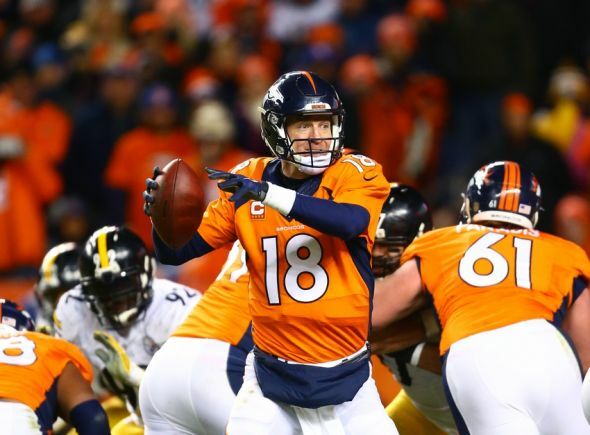 Could white jerseys give the Denver Broncos the mental edge they need to beat Carolina in Super Bowl 50? Heading into Super Bowl 50, the Denver Broncos are looking for every and any advantage they can possibly findâincluding the color of their uniforms. The Broncos recently announced they'll wearÂ white jerseys in the Super Bowl, despite their official designation as the home team. The home team designation in the Super Bowl rotates every year between the AFC and NFC, and whoever receives said designation gets the honor of choosing what jerseys they want to wear. Traditionally, the home team chooses their usual home jerseys. For Denver, those would be their orange jerseys. Heading into Super Bowl 50, the Denver Broncos are looking for every and any advantage they can possibly find—including the color of their uniforms. The Broncos recently announced they'll wear white jerseys in the Super Bowl, despite their official designation as the home team. The home team designation in the Super Bowl rotates every year between the AFC and NFC, and whoever receives said designation gets the honor of choosing what jerseys they want to wear. Traditionally, the home team chooses their usual home jerseys. For Denver, those would be their orange jerseys. But rocking orange in the big game has not gone well for the Broncs. Denver's Super Bowl record when wearing orange is 0-4. The losses came in Super Bowl XII, XXII, XXIV and XLVIII; and in each game, the opposing team wore white jerseys. The Broncos have also played in two Super Bowls wearing white jerseys, going 1-1. However, in the past 11 Super Bowls, teams wearing white have gone 10-1. In the past, the home team has elected to wear white only four times, but they went a combined 3-1. Coincidence? Yeah, probably. Even if rocking white gives the Broncos a tiny mental edge, it's totally worth it. Now they've just got to figure out the whole "stopping Cam Newton" thing.